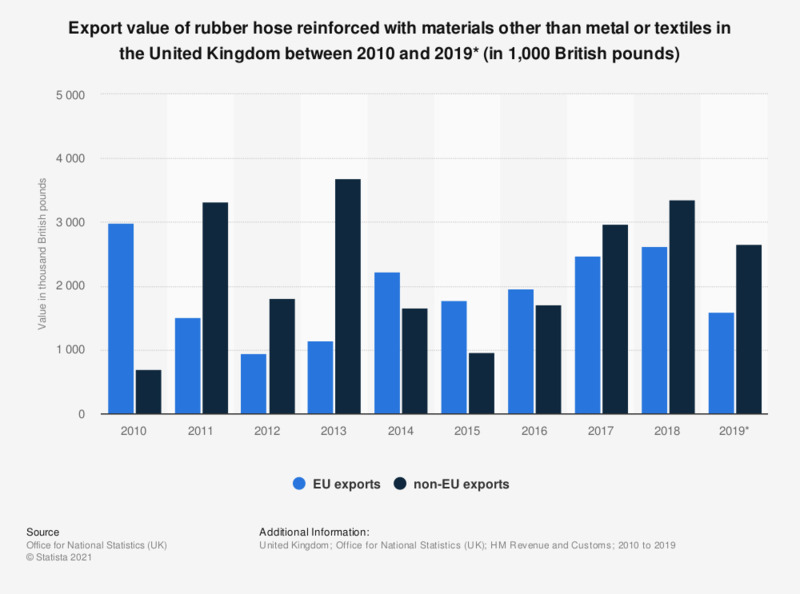 This statistic shows the value from EU and non-EU exports of rubber hose reinforced with materials other than metal or textiles in the United Kingdom between 2010 and 2018. EU exports of reinforced rubber hose reached nearly 2.5 million British pounds in 2017. * As of February 2019 as the final figures might not yet be released.